QuickTime are the lightest steel bellhousings available, with patents pending on 16 points of design and manufacturing process, they are also the most accurate bellhousings in regards to parallelism and concentricity. Built from high grade steel, work hardens to over 80, 000 PSI strength, making them over 2 times the strength of any other steel bellhousing. The QuickTime cone is spun not rolled or stamped which allows the bellhousing to be the most dimensionally stable bellhousing available. 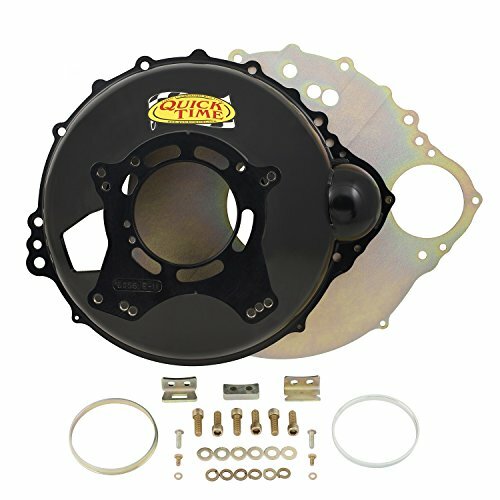 Design input from original equipment manufacturers, engine builders, transmission builders, racers make QuickTime the best bellhousings for circle track, strip or street applications and they are built and tested in the USA. Confirm your specific application before purchasing.